Our team over at WeAreDAR has tons of fun things going! 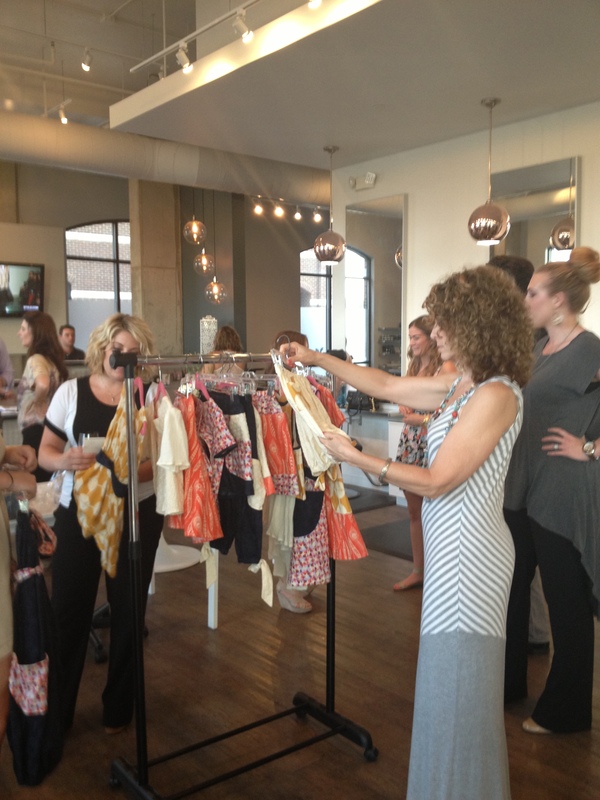 We’ve been focusing our efforts on upcoming trunk shows and our trip to Haiti! Please help us spread the LOVE! But of course, trunk shows aren’t the only things on our mind! Martha, Christa, and I are counting down the seconds until 6pm on August 9th, when our flight from Nashville takes off! Martha has been to Ti-Bouk once before to meet our team abroad but it’s mine and Christa’s first time and we couldn’t be more thrilled! It will undoubtley be an experience of a lifetime. To see, meet and love on the 10 women who have brought us determination and hope every day for the last 9 months will be a gift in and of itself. But then to actually help set up our factory where these women will get to live out their dreams of becoming employees in the Ti-Bouk community, literally brings tears to my eyes. I have been abroad to help other organizations before but WeAreDAR is so special and close to my heart, I know this will effect me in ways unknown to me now. I am so blessed to be working with a group of women who put their heart and soul into this project every day. We are a small nonprofit today, but we all know we will one day make huge, global strides into helping people both near and far. Listen. Think. Idea. Try. Try again. Keep going. -my brain. It’s exactly what we have been doing here at WeAreDAR. When I decided to start this project I wanted to start something that really matters. A project that changed lives for the better forever…and we are well on our way, but none of this would have been possible if it were not for the faith, hard work, and clear dedication of Ashlyn, Amy, Annette, Taylor, Crista, Denise and Kayla. About two weeks ago I was pulling into my driveway after a long day of work. It was roughly 7:20pm on a Thursday, and I was on the phone with Annette. She was telling me we could not continue the aDARable project without the funds to pay for fabric and wages. We are talking over $40,000 and we needed at least half to start aDARable and proceed with our trip to Haiti. I hung up the phone. Holding back tears, I opened my car door to get out and looked up to exchange a few words with my homeboy, J.C. Looking back now I feel awful because while I was home, I was mentally absent. I try so hard to flip the switch to off mode and focus on family while home, but this night I couldn’t. I sat outside while the girls played, and I drafted an email to a mentor of mine from a few years ago. I explained our situation and asked her if she knew of anyone I could pitch our project to, in hopes of receiving a donation. I told her at this point we were SOL…$–t outta luck. I called Taylor and gave her the devastating news that she wasn’t going to be able to travel to Haiti with us because we needed the money to pay for the women’s salaries in Haiti. It was so hard to do because she has just given so freely of herself and was so excited for our upcoming trip. I didn’t sleep well at all that night. 7:10am Annette calls me. She asked me if I had read my emails, and at this point I hadn’t so I told her I would call her back. 11:30 we are in a meeting with Ashlyn. We discussed our plans with her, and 20 minutes into our meeting with her we were no longer SOL. I was so overwhelmed with emotions that I couldn’t even eat my lunch. It was one of those “God” moments. Describing it wouldn’t even do it justice. We hugged, I got in my car and I just lost all control of emotions. We had exhausted all other funding options, and then a heaven sent angel ignited our flame again. 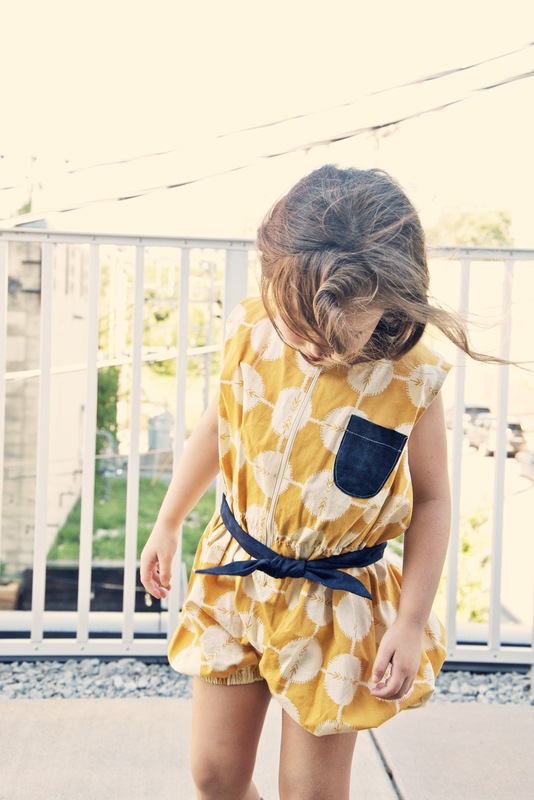 I quickly reached out to Kayla at Matilda Jane Clothing. Kayla has one of the biggest hearts I’ve seen, and I told her we needed someone to help us put together our factory in Haiti. I am not exaggerating when I tell you that less than an hour later MJC’s owner, Denise, and Kayla had a response for us and introduced me to Sarah who is now traveling with us in place of Annette!! Talk about God moments…this project is full of them! Amy–I have not talked enough about Amy. Amy, and her husband Michael are the founders of Women of the Cloud Forrest in Monte Verde, Costa Rica. They are angels behind our project in Costa Rica. We have 15 women doing our micro-enterprising program via our donations from our clothing companies. I’m not sure if you remember me telling you their goals for the first trial run. They vowed if they made over their goal wages they would like to pay it forward to other women in need. Just last week we received a very gracious check from Amy and our 15 women in Monte Verde, along with a thank you video. I’m so blessed to have met and connected with Amy! Amy- if you’re reading this–gracias por todo hermana! Te quiero mucho y espero verte muy pronto!! And of course there is Crista and Taylor and the other student designers behind aDARable. These young ladies who have given so much of their time too. I can’t wait to introduce them to our beauties in Haiti! Thank you all for believing in this project. I’ve learned so much about myself during this journey. I’ve learned in the last couple of weeks that God is in the business of strategically positioning us in the right place at the right time. A sense of destiny is our birthright as followers of Christ. God is awfully good at getting us where He wants us to go. But here’s the catch: The right place often seems like the wrong place, and the right time often seems like the wrong time. 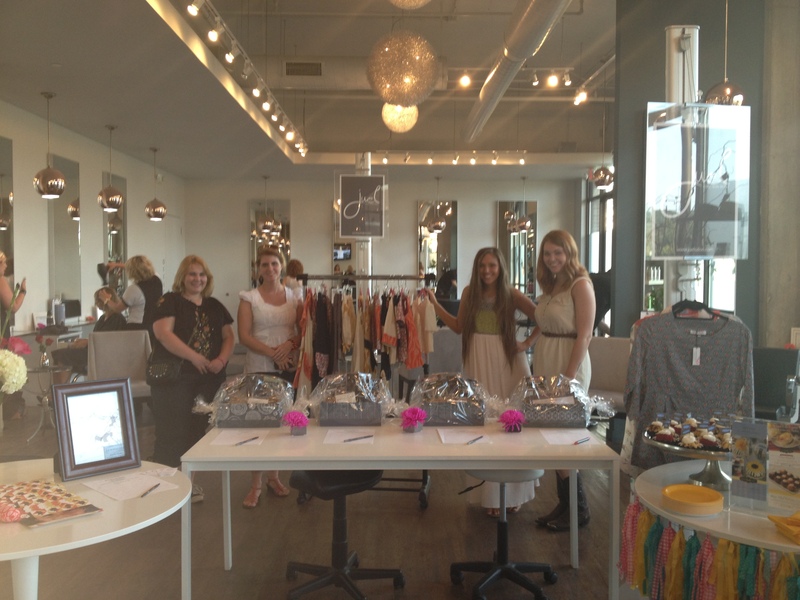 Our team has been busier than ever with upcoming events for WeAreDAR! It has been a whirlwind of of excitement and emotions on every level. Our to-do list seem to be growing by the day, which of course is a great thing, but also a bit overwhelming at times. My blog today is just to give y’all a quick overview of what’s to come in the next couple of weeks! 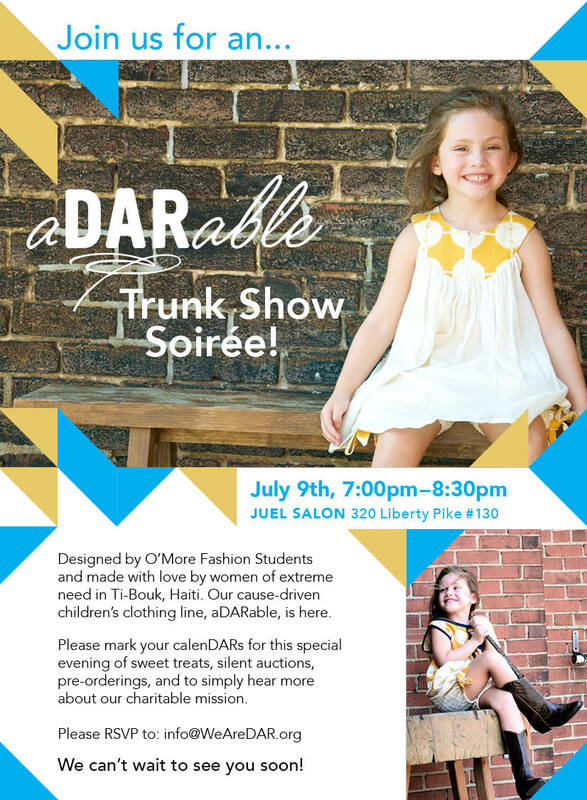 We are so excited because our very first trunk show is happening TOMORROW! We have been planning and planning and we couldn’t be more excited to premier our clothes to locals AND give you all the opportunity to pre-order our aDARable children’s clothing line. 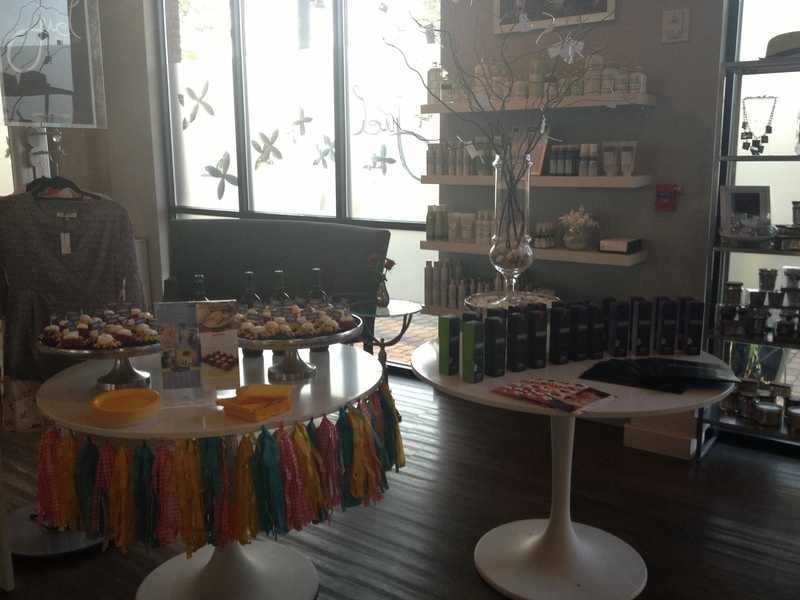 At our trunk show we will have drinks, food and fun! Our intern Crista (also a designer of our first line) and Annette will be going through each look with the attendees. They will discuss everything from materials to prices, and answer any and all questions, so our customers know exactly what they are ordering. Once the presentation is finished, attendees will be able to mingle, eat, drink and of course, pre-order the outfits of their choosing! We will also have silent auctions for our guests to bid on! This event will surely be a great time and remember, we only have 750 pieces to sell so make sure you make it to one of our upcoming trunk shows! Of course we are excited about these upcoming events but what our hearts are yearning for is our trip to Haiti! We are so excited to get back to Ti-Bouk to reunite with our 10 seamstresses! They are SO, SO excited about this life changing opportunity and counting down the days for our team to arrive with further instructions on creating our first aDARable line. Our team will be leaving for Haiti on August 10th (just a few short weeks away!) and staying until August 17th. While we are there we will be putting together the finishing touches on the factory, teaching our seamstresses every detail of each piece of the line and most importantly enjoying fellowship with the beautiful community in Ti-Bouk. A lot goes in to planning events like these and bringing them together to be a success. It has taken tremendous effort and time from every one of our team members to get us where we are today. We all have full time jobs to pay the bills but our hearts all lie with WeAreDAR. We are so thankful to be given the opportunity to change lives. We wouldn’t be where we are if it weren’t for all of you and the support you’ve given us. Allow me to introduce myself. My name is Crista Hooven, recent college graduate, movie loving, guitar learning, ice cream connoisseur, seeker of light, explorer of the world. You will also know me as the DARling intern. This experience has been a long time coming for me, and we’re not talking about a few months, but 5 years to be exact. In 2008, I graduated high school in Olathe, KS (born and raised) and decided it was was time to brave the world. I will always admire my dad for his welcoming spirit and nurturing push, for it is truly a balancing act. I now found myself in a small town outside of Chicago sitting on the tiniest bunk bed, drinking in the newness. I knew that I wanted to be creative and help people, so naturally, I chose a combination of art and psychology and would later pursue a career in art therapy. My freshman year flew by, and like that, I was on my way back to childhood home. It was this summer that I finally took the time to learn how to sew. I fell in love. Immediately. Though my skills and knowledge were limited (this is an understatement), my heart took great delight in the excitement of cutting out shapes and sewing them together. Sometimes they made shirts, and skirts, and ill-fitting dresses, and sometimes, they didn’t. This new obsession caused a shift in my heart and mind. I had found something that was my own and no one could stop me. I’ll save you the details, but I stayed home that next year. I let the dream of those around me fade away while I began a new journey. Though I had an opportunity to go to O’More at the end of that summer, the Lord said wait. It was painful, and difficult, and lonely, and different than anything I had imagined for myself. But I needed it. Sometimes the right answer is to pause, take a deep breath, and wait even though we live in a world that says keep going as fast as you can. In the fall of 2010, I started my classes at O’More. My dream of being compassionate and creative remained, but it had a new face. It now consisted of fair trade clothing and providing opportunities for women to not only be paid well, but to also be treated well. And just like that, in my last semester at O’More, there was a brand new class offered called Design for a Cause. 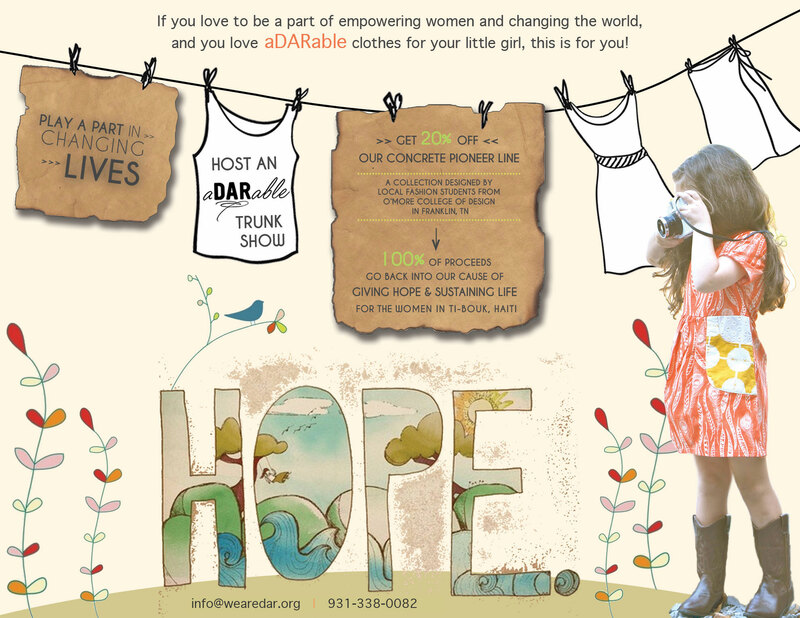 Partnering with WeAreDAR, our class had the distinct privilege of designing a line of girl’s clothes that would be made with love by women in need. If I would have jumped the gun on O’More, I would have missed this opportunity. My story was playing out just as Martha’s was. Because that’s the beauty of the Lord. He so carefully orchestrates our paths. I look forward to the next few weeks and especially for our trip to Haiti! I am so grateful to have this opportunity. I am inspired and challenged by Martha’s passion and conviction every day. I couldn’t imagine a better internship.